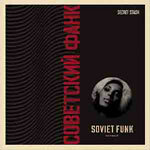 Volume two of extremely rare instrumental Soviet Funk recorded circa 71-76 by Pavel Sysoyev in Abakan the capital of Khakassia. Sysoyev was an employee of the USSR State Committee for Television and Radio Broadcast (state controlled media). He ran a recording studio intended for solely for Government material, but late at night he and his friends used the space for alternative reasons and this is the result. Secret Stash Records tracked down Sysoyev and have struck a deal to mine his catalog of music into a few user friendly releases. Volume 2 contains some jazzier elements and much more aggressive recordings, while remaining very groovy. Pressed on split black and red vinyl the release also comes with a free mp3 download of the entire album.